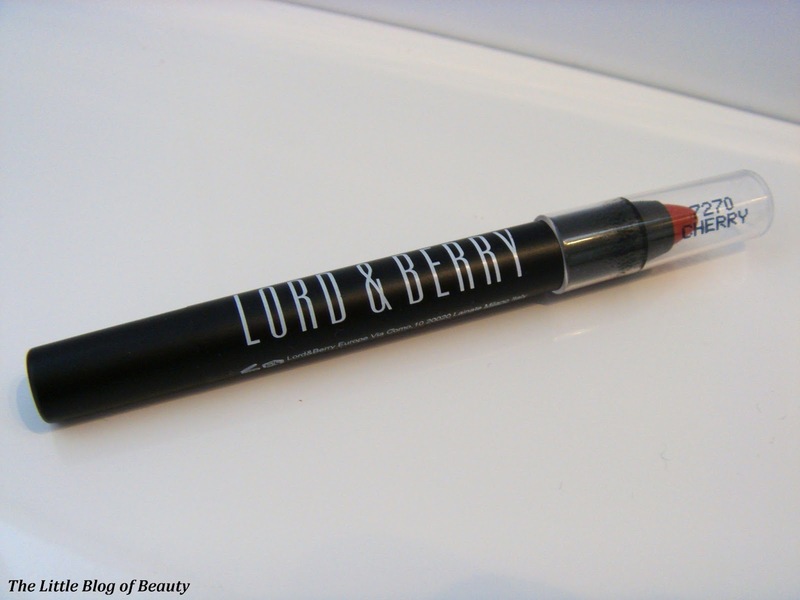 If you've followed my blog for a while you may have seen my post in November about the Lord & Berry lipstick crayon in Plum (you can find the post here). I love this so much it made it into my top 5 products of 2013 and the post was one of my 10 most popular posts of the year, so I guess my readers liked the look of it as well. In my previous post I said I was considering getting another one in the shade Cherry, so when I spotted that they were in the ASOS sale and you could also get an additional 10% off sale prices using an offer code I knew I had to snap one up. When the parcel arrived and I opened the box that the crayon comes in I could see something was wrong straight away. When somebody had put the lid on they had caught the edge of the lipstick and taken a chunk out and it was smeared all round the lid and there was some inside the box as well. If you follow me on Twitter you may have seen the picture I tweeted to the ASOS here to help account. They were fab and quickly arranged for another one to be sent out to me and told me to keep the original one as well. There's nothing actually wrong with the original one, all I need to do is just sharpen it and clean it up, but that would have ruined my 'this is the product before I used it' pictures. This is a gorgeous cherry red colour and as with my plum version it has the same amazing vanilla smell as MAC lipsticks and is so soft it just melts onto your lips (that's probably why it was so easily smooshed as well!). This lasts really well and I would say you could maybe get five hours wear out of it before you might want to consider giving it a top up to keep it looking fresh. 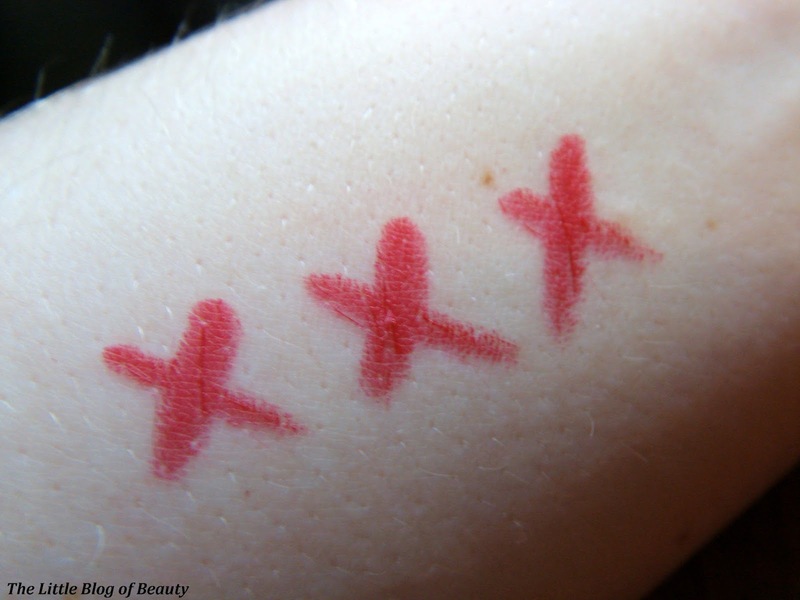 It does leave a stain behind so even when the actual lipstick starts to wear off it still looks presentable if you can't be bothered to reapply. Lord & Berry is not widely available in the UK but as I've already mentioned some of their products are available over on good old ASOS. I've just noticed that the price of these has increased to £10 now, but I'd still be happy to pay that for one and they often go in the sale. While I'm talking about ASOS I just wanted to let you know that I'm now an ASOS insider. I was so happy to have been accepted as I've been a huge fan of ASOS since it was known as As Seen on Screen and the items used to have 'As seen on....' I'm really looking forward to seeing what opportunities being an insider might bring. So what is a girl to do when she has two brand new duplicate products...giveaway! I also recently hit 500 followers on Twitter and 250 followers on Bloglovin so this is a little thank you to my lovely followers. Don't worry I won't be sending the winner the damaged one, if you win you will receive the perfect one. I borrowed it briefly to take the photos but I haven't touched the actual lipstick end at all. I'll also pop in a few surprise samples for you as well. To enter just complete your entries in Rafflecopter below. Please note this is UK only. Good luck! 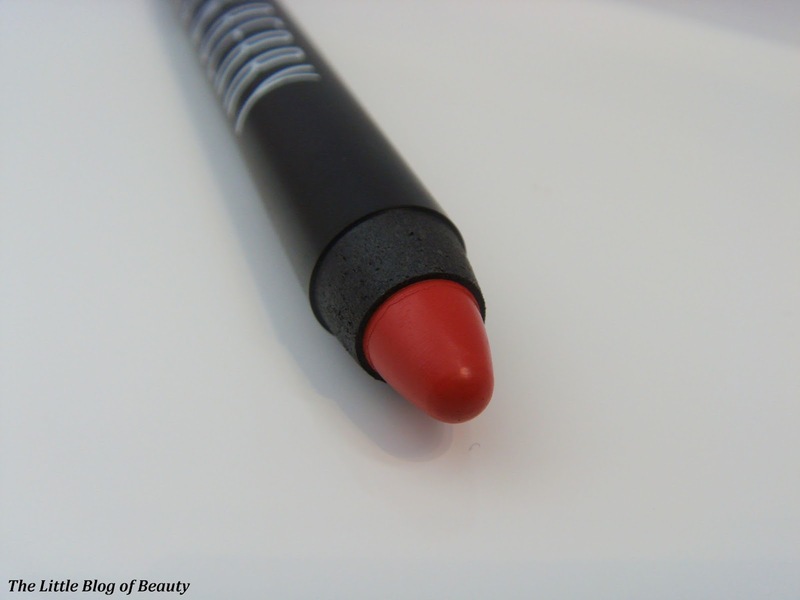 I love lip crayons the best, they are so easy to use! I=One of my favorite lip products would be something super simple..... EVO lip balms rock!!! I also love the lip plumping glosses form Bare Minerals as well! Thanks for the fabulous post and giveaway!!! This looks like a gorgeous shade, thank you for the lovely giveaway! My favourite lip products are the Revlon Just Bitten Kissable Balm Stains, but I'm addicted to lip crayons generally, so I'd love to try The Lord and Berry ones. I'm loving my Strawberry Sorbet EOS lip balm at the moment! :) This looks gorgeous!